Airmac has a leading range of Yanmar powered air compressors that are preferred by industry for use at mine sites, oil and gas facilities, and other hazardous locations. Each 415V air compressor model is fitted with a genuine Yanmar diesel engine to ensure the highest levels of safety, reliability and economy. 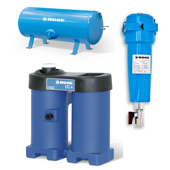 Electric start V40D air compressor. 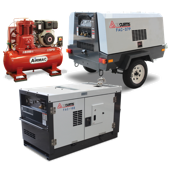 Enerquip supply a leading range of Yanmar powered diesel air compressors that are especially well suited for use by field service personnel at mine sites, oil refineries and other hazardous locations. To ensure the highest levels of safety, reliability and economy, each model is fitted with a genuine Yanmar air cooled, direct injection diesel engine. 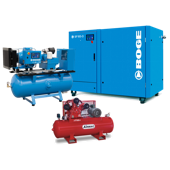 If you want to know more about the Airmac belt drive portable diesel compressor range or would like to speak to our qualified staff - you are welcome to visit us, browse this web site or call us anytime.